Universal Tool Adjustable Clutch Angle Auto Shut-off Screwdrivers feature a rugged steel angle head with an overall height of 1-5/8''. 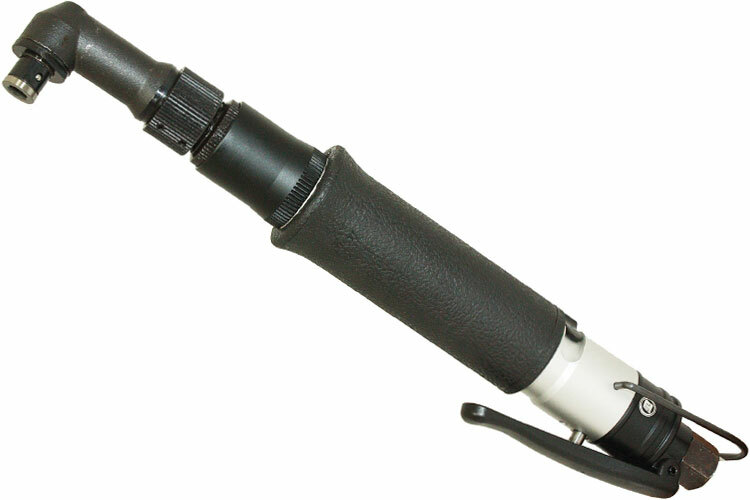 Universal Tool Adjustable Clutch Angle Auto Shut-off Screwdrivers also feature a rear exhaust, a thumb operated reverse switch, a built-in suspension bail, and comfort grip for ultimate comfort and reduced vibration. Universal Tool Adjustable Clutch Angle Auto Shut-off Screwdrivers are best suited for precision high volume assembly. The UT8960-1 Universal Tool Adjustable Clutch Angle Auto Shut-off Screwdriver is one of thousands of quality tooling products available from MRO Tools. Please browse Universal Tool Screwdrivers for tools similar to the UT8960-1 Universal Tool Adjustable Clutch Angle Auto Shut-off Screwdriver. UT8960-1 Universal Tool Adjustable Clutch Angle Auto Shut-off Screwdriver description summary: Universal Tool Adjustable Clutch Angle Auto Shut-off Screwdriver. Motor (hp): 0.4 Motor (Kw): 0.29 Torque Range (in.lbs): 5-25 in.lbs Speed (RPM): 1,000 Exhaust: Rear Chuck: 1/4'' Hex Q.C. Weight: 1.5lbs/0.70kg Length: 10.60''/255mm Air Inlet (NPT): 1/4'' Quantity discounts may be available for the UT8960-1 Universal Tool Adjustable Clutch Angle Auto Shut-off Screwdriver. Please contact MRO Tools for details.